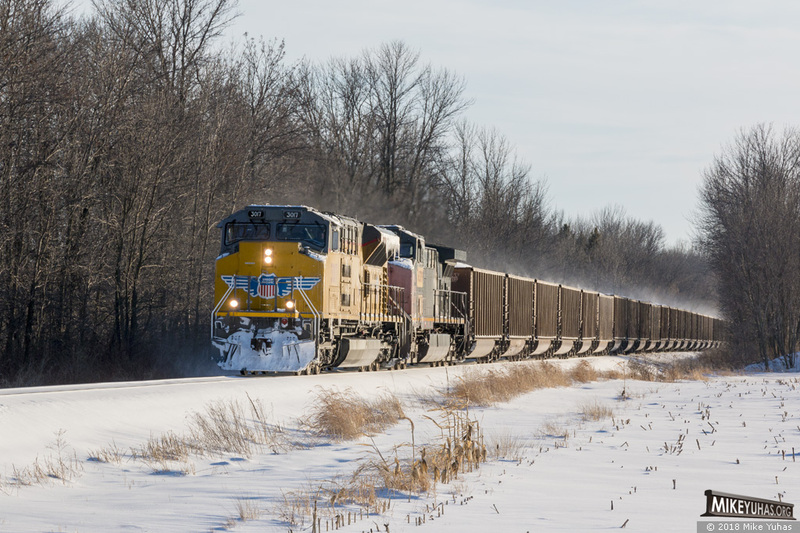 An EMD SD70AH leads a Sheboygan coal train north. Second unit is a patched Southern Pacific GE. A UP GE is on the rear in DPU mode.